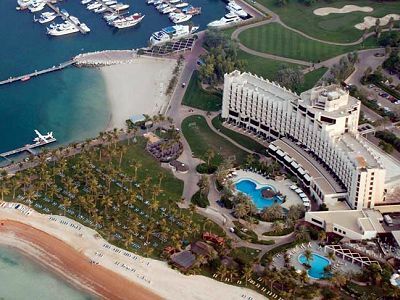 JA Jebel Ali Beach Hotel is a luxury All-Inclusive resort situated on 800m of private palm lined beach at the entrance of Palm Jebel Ali overlooking the Arabian Gulf. The resort offers a genuine all-inclusive experience which includes all meals, snacks and drinks at the hotel’s restaurants and bars. Ibn Majed Restaurant serves the finest themed buffet dinners, enjoy Italian favourites at La Traviata, or Shooters for American steakhouse. Jebel Ali Golf Resort also features a private marina, stunning hotel gardens, 2 swimming pools with swim up bars, and an extensive spa. Sporting facilities include floodlit tennis, squash and badminton courts, horse riding stables, shooting club and water sports centre with scuba diving, wind surfing and water-skiing. 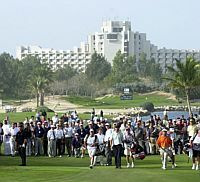 The resort also boasts Jebel Ali Golf Course, this impressive and popular 9-hole championship course. The option of 4 different tees, views of the Arabian Gulf and peacocks roaming freely around the fairways keep each round interesting! The large floodlit driving range and practice greens complement the golf course with qualified PGA pros on hand to offer instruction. JA Jebel Ali Beach Hotel was awarded with ‘Middle East’s Leading Family Resort 2014’ at The World Travel Awards. Ascot Golf Packages at Jebel Ali Hotel DUBAI are based on All-Inclusive Board. -Buffet breakfast (served at Ibn Majed Restaurant). -Lunch, dinner and snacks on a full dine-around basis in a choice of 15 restaurants and bars at Jebel Ali including Palm Tree Court (buffet or à la carte). -All beverages, including soft drinks, house wine, house beer and house pouring spirits with or without meals. -Complimentary leisure activities including wind surfing, catamaran, laser, kayaking and camel rides. - Premium beverages, champagne, imported mineral water, energy drinks, fresh juices, mini bar, room service, all activities not specified, selected special events and chef’s promotions. - At certain speciality restaurants a special menu may be applicable. - At Signatures, White Orchid and La Traviata, advance reservations are mandatory and may be subject to availability. - Alcohol will be served from 11am to 2am as per the Hotel’s license. - Alcohol will be served to guests aged 21 years and above. - During Islamic Holidays, Ramadan or mourning periods, alcohol will be served as per prevailing government regulations i.e. daytime exclusions or 24-hour dry periods may apply. - If a guest’s behaviour impact negatively on the enjoyment of other guest/s due to alcohol consumption, the resort may refrain from serving alcohol to the respective guest in line with UAE law. Leisure Sea View Rooms (30m²) Located on the first floor. Features a terrace with two private sun lounges overlooking landscaped gardens, beach and Arabian Gulf. All rooms are highly equipped with mini bar, satellite LCD TV, DVD player (and complimentary access to the DVD library), tea/coffee making facilities, direct dial phone, sofa, hair dryer, micro fiber bathrobes, safety deposit box and a bathroom with a bathtub and shower. The room type is available in king or twin bed configuration. A bottle of sparkling wine and fruit basket are placed in the room on arrival. Complimentary daily happy hour in the Hotel outlets Maximum occupancy 2 adults plus 2 child under 12 years old. Superior Golf View Rooms (60m²) Located on the fifth floor of the Hotel. Each room has a standing balcony overlooking landscaped gardens. All rooms are equipped with Mini Bar, satellite LCD TV, tea/coffee making facilities, direct dial phone, sofa, hair dryer, bathrobes, personal safety deposit box and spacious bathroom with a separate walk in shower and bathtub. The room type is available in king bed configuration. Maximum occupancy 3 adults or 02 adults plus 02 children under 12 years old. The suites offer a separate spacious living room comprised of tastefully designed living and dining area. The room is ideal for families with 2 bedrooms which are interconnected and features two small standing balconies overlooking landscaped gardens. The rooms are tastefully decorated in a bright colour scheme. All rooms are equipped with mini bar, satellite LCD TV, safety deposit box, tea/coffee making facilities, and direct dial telephone, sofa, and hair dryer, bathrobes in the bathroom with a bathtub with shower. The room type is available in king or twin bed configuration. Maximum occupancy 2 adults plus 2 child under 18 years old. The room is ideal for families with 2 bedrooms which are interconnected and features include two small standing balconies balcony overlooking landscaped gardens, beach and Arabian Gulf. The rooms are tastefully decorated in a bright colour scheme. All rooms are equipped with mini bar, satellite LCD TV, safety deposit box, tea/coffee making facilities, and direct dial telephone, sofa, and hair dryer, bathrobes in the bathroom with a bathtub with shower. The room type is available in king or twin bed configuration. Maximum occupancy 2 adults plus 1 child under 18 years old. Captain’s: The beachfront bar and restaurant is the ideal stop after sun-lounging in the resort gardens. Enjoy light lunches and snacks during the day, or relax to the sound of waves at sunset. Ibn Majed: Go on an international culinary journey with different themed dinner menus, generous breakfast buffets and night menus accompanied by breath taking views of the tropical gardens and beach. Take this opportunity to explore cuisine from the Atlantic, Mediterranean, Middle East and China. La Traviata: Italian fare and home-cooked specialities. With intimate wood interiors and outdoor terrace. Shooters: While a large variety of specially selected meat cuts is at the core of what you can enjoy at Shooters, this restaurant and bar’s Steak-Mex concept also includes a few Mexican bocados . A circular floor-to-ceiling glass wall allows unimpeded views of the clay shooting ranges below and the outdoor terrace. Two fresh water pools, one saltwater pool, 800km long private beach, full range of water sports including water ski, windsurfing, catamaran, pedaloes, kayak; banana boat. Club Joumana at Jebel Ali offers squash, table tennis and gym. Jebel Ali offers Stables and Paddock, with professional private horse-riding lessons for beginners and excursions for experienced riders. 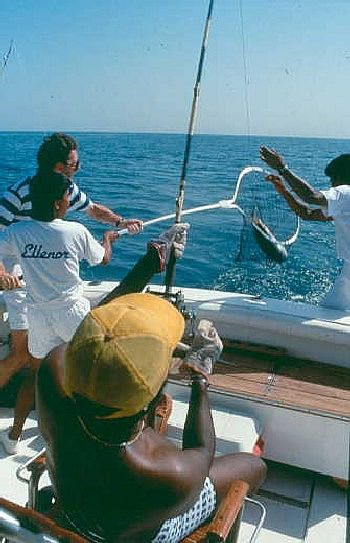 Four or eight hour deep-sea fishing trips into the Arabian Gulf depart from the Resort’s private marina. The Jebel Ali International Centre of Excellence comprises a Sports Academy and Leadership Centre which provides training and development facilities and activities for sports clubs, schools, youth clubs and corporate businesses from across the globe. The facility is located within the 168 acre grounds of the Jebel Ali International Shooting Club and features a grassed area under floodlights that accommodates two full-sized pitches. As the leading football facility in Dubai, the centre has played host to some top international football teams, from the UK Bolton Wanderers, Blackburn Rovers and West Ham. Leadership Centre at the Jebel Ali International Centre of Excellence provides a range of activities which will challenge, motivate and inspire management and team development. Both interactive and innovative, these outdoor challenges mirror real situations experienced within a work environment and address the practical aspects of communication, motivation, conflict resolution, problem solving and decision making. Peaco (Kids) Club operates daily for children aged 3 - 7 years. Open from 10.00am to 12.30pm and 1.30pm to 7pm, a weekly activity programme is scheduled and a pet corner is available to keep the little ones happy. If the parents need an evening out, the Resort offers a babysitting service. Children over the age of 3 years can avail of the babysitting service after the Peaco Club is closed until 1am. Babysitting is available on request and must be booked in advance (preferably at least a day’s notice). Dubai is a real treat for any Deep Sea Fishing enthusiast. Why not hire a boat for your trip, complete with captain? The “Reel Runner” is a 31 footer for a maximum of 6 people, suitable for inshore coastal fishing for Barracudas and bottom fish like Hammour and Shari. Boat captains have over 25 years’ experience in the Gulf waters and are all RYA (Royal Yachting Assoc.) qualified and fully licensed by UAE authorities. 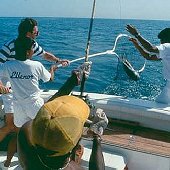 Trip options include: coastal fishing, reef fishing, coastal cruising or sailfish trips with the boat moving to different sites during the trip. Trips range from US$175 per hour. Please ask your Ascot Golf Sales Representative to include Deep Sea Fishing with your Holiday to Jebel Ali Golf Resort and Spa, Dubai, UAE. The Jebel Ali Golf Resort and Spa is the only Resort in Dubai with its own air-conditioned Stables. The Resort also features its own spacious paddock where riding tuition under the guidance of qualified riding instructors is given. The Stables offer tuition in a fully equipped schooling environment for beginners or for those who haven’t been riding for a while. Regular riders who are trained in all paces of the horse can enjoy the natural desert surroundings of the Jebel Ali Golf Resort & Spa by experiencing the outdoor rides. Hard hats and half chaps are provided free of charge for the duration of lessons or outdoor rides. The Stables are closed on Mondays and during the summer months from June to September. 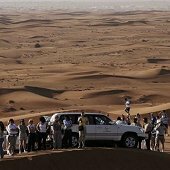 The Dubai Desert Safari offers Golfers in Dubai the unique opportunity to experience the vast deserts of the emirates, sand surf down 100 metres dunes, view camels in their natural habitat, marvel at the magnificent sunsets, and be guided by the white desert moonlight by nightfall. 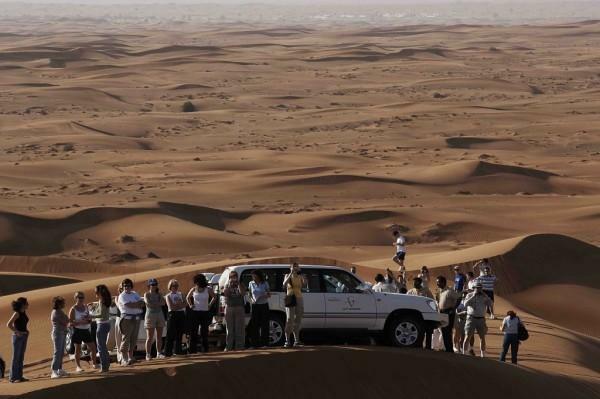 Trained guides help you enjoy the splendid Dune Bashing in 4WD’s. Continue to the camel farm and the magical desert sunset point. As dusk falls the Safari moves to a camp where a delicious Barbecue dinner is served, preceded by a traditional Arabic starter, with fresh bread cooked over an open fire. Enjoy sand skiing, camel riding and henna painting. Join the Belly dancer and dance your evening to the Arabic music or just lie back and listen to the silence and enjoy the cool breeze of the desert. 16.00 - 22.00 (6 Hours). $85 per person operates each day. Please ask your Ascot Golf Sales agent to include a Dubai Desert Safari with your Ascot Golf Holiday to Jebel Ali Golf Resort and Spa. Jebel Ali is a stunning 9-hole course which until recently played host to the “Shoot-out” curtain raiser to the Dubai Desert Classic. Arranged on different elevations, the course features a salt-water lake that comes into play on five holes. Each hole is uniquely landscaped with exotic trees, shrubs and panoramic views of the Arabian Gulf. Peacock, guinea fowl, and partridges roam free on the perfectly manicured Bermuda grass greens and fairways. Dubai Hills Golf is a new championship golf course and centrepiece of a prestigious lifestyle community set in the heart of Dubai. As well as the golf course the development plan includes a variety of residential villas, high-end shopping, fine dining, world-class hotels, and health and educational facilities. The Course Carved out of the sandy desert Dubai Hills was designed with playability in mind and features wide contoured fairways and large undulating greens. The course design utilises the numerous valleys and lakes that were created along with bold bunkering to add a degree of challenge and drama. The Els Course is traditional (desert) links style design, set on undulating slopes of native desert vegetation. Teasing doglegs and cavernous pot bunkers combined with a surprising amount of wind mean the course is a real challenge at 7,538 yards. However, there are four sets of tees to make the course playable for golfers of all abilities. The Els Club also boasts the Butch Harmon School of Golf. Jumeirah Golf Estates is home to Dubai’s most desirable residences and golf’s most prestigious destination. With World-Class Championship Courses and luxurious homes, Jumeirah Golf Estates sets a new standard in residential golf developments. Jumeirah Golf Estates has brought together four legends of the game of golf Greg Norman (Earth, Fire & Wind), Vijay Singh (Water), Pete Dye (Wind) and Sergio Garcia (Wind). Their unmatched understanding of what makes an exceptional sporting venue has enabled them to design four incomparable golf experiences in Dubai. The Earth course was the host of the inaugural Dubai World Championship in 2009 (Race to Dubai). The Earth Course was inspired by the great parklands of Europe and North America. The course has an open layout with wide fairways and large sloping greens. The Signature Hole is the Par 5 18th with a rock lined stream positioned up the middle of the fairway leading to a dramatic final green. Garden View Room, All-inclusive Board, Green Fees as listed, Buggy, Range Balls, Local Taxes.